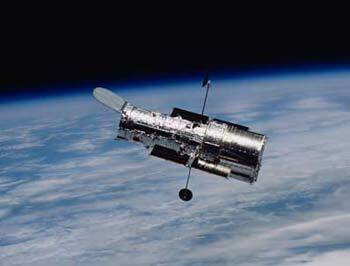 WASHINGTON, June 25 (UPI) -- The main camera on the Hubble Space Telescope has shut down and NASA officials are preparing to fix it and ready contingency plans. The Advanced Camera for Surveys, or ACS, went into safe mode on June 19, something that has happened before but not for this long of a time, Space.com reports. Other cameras are being used to compensate for the loss of the premiere camera on Hubble, which was installed by astronauts in 2002. Ed Ruitberg, associate program manager for Hubble at Goddard Space Flight Center, said the problem most likely is with the battery connection to the camera. A fix could come as early as June 30 and the camera just restarted.